A motionactivated light can save energy and translate into monthly electricity bill savings. 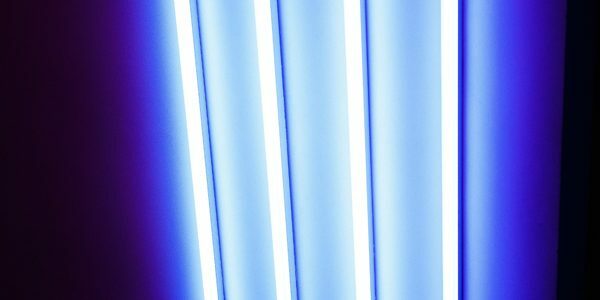 There’s a misconception that leaving a fluorescent light on saves more energy than turning it off and on. The Department of Energy recommends shutting off fluorescent lightbulbs if you’ll be out of the room for more than 15 minutes. Installing a motionactivated switch for fluorescent lights can help you minimize energy output from your bulbs. You will need to install special switches rated for electronic ballasts rather than magnetic ballasts for a fluorescent light fixture. Read the fine print on the motion-activated switch packaging to make sure you purchase a switch for electronic ballasts. Otherwise, the switch won’t work with your fluorescent lights. Since most fluorescent lights use electronic ballasts, a switch with magnetic ones just won’t work. You may need to go to a store that specifically sells electrical hardware to find the correct motion-activated switch.